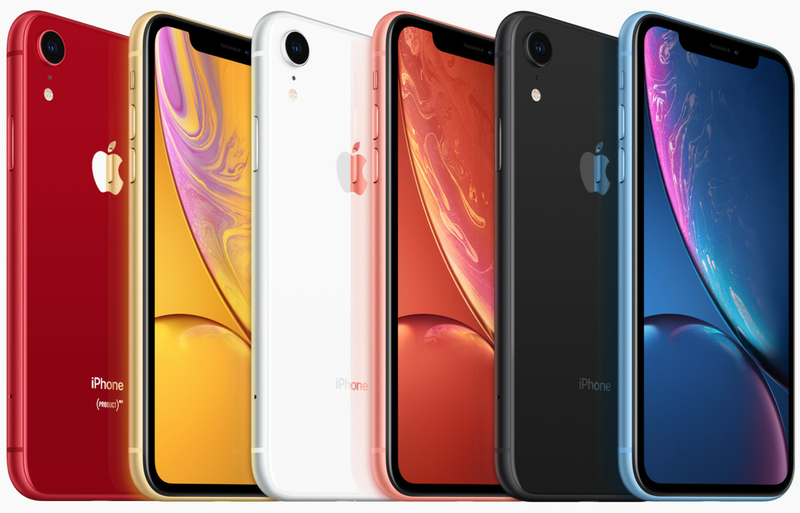 The processor: all three new iPhones share Apple’s latest A12 Bionic processor, a 7nm chip that, according to the company, represents a breakthrough in mobile computational power. Its two performance cores (which handle intensive tasks) are “up to 15 percent faster” than the iPhone X, while the four efficiency cores (responsible for powering your everyday app usage) are “up to 50 percent more efficient.” The GPU is up to 50 percent faster. It’s not like modern iPhones struggle with running iOS games, but this silicon opens new possibilities for software to come. Each new iPhone also contains Apple’s updated, eight-core Neural Engine for handling AI tasks, which can handle 5 trillion operations per second. You lose out on 3D Touch, but how much of a loss is that? No, you won’t be able to move the cursor by pressing down on the virtual keyboard or go to a specific section of an app by hard pressing on its home screen icon. And you can’t preview (or “peek” in Apple terminology) URL links or media. But look: it’s been three years since 3D Touch debuted on the iPhone 6S, and the best advice for discovering useful things it can do is still “just try it, and see if something happens.” The technology never even made it to a single iPad. 3D Touch had enormous potential, but it’s certainly gone off the rails a bit. And Apple only has itself to blame.